The Bahamas – officially, the Commonwealth of The Bahamas – is an independent, English-speaking country consisting of 29 islands, 661 cays, and 2,387 rocks. It’s located in the Atlantic Ocean, southeast of the United States of America, north of Cuba, the Hispaniola (Dominican Republic and Haiti), and the Caribbean Sea, and northwest of the Turks and Caicos Islands. Its size is almost 14,000 km², with an estimated population of 330,000. Its capital is Nassau. It remains part of the British Commonwealth. English (with a distinct Bahamian dialect); Bahamian Creole is also spoken by local inhabitants. The currency in Nassau is the Bahamian dollar, which is generally at par with the American dollar, and whose value is quoted in the business section of major newspapers. Traveler’s cheques are accepted by most hotels and stores. U.S. dollars are imperative for travel to the Bahamas. Canadian currency is not accepted, but can be exchanged at all banks. The best buys are imported goods, such as cameras, Swiss watches, Scottish tweeds, French perfumes and leather goods. Bahamian craftsmen also produce handmade straw goods, wood carvings and shell jewelry – all of which you can bargain for at the straw market. However, please do not attempt to bargain for goods inside the stores of the market; this is simply not done nor allowed. The climate of the Bahamas is subtropical to tropical, and is moderated significantly by the waters of the Gulf Stream, particularly in winter. Conversely, this often proves very dangerous in the summer and autumn, when hurricanes pass near or through the islands. 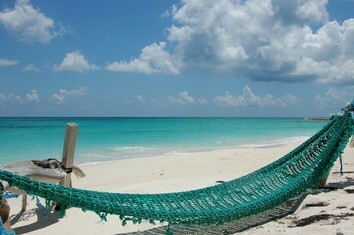 Average temperatures in the Bahamas range from 27 to 32 °C in the summer to 21 to 27 °C in the winter. The northern Bahamian islands can be even a little cooler. Winds across The Bahamas keep vacations cool in the daytime and help lower the temperatures at night. Come visit the Bahamas – where it’s always balmy, but pleasantly breezy. The fort was built in 1793 by Lord Dunmore atop Bennet's Hill overlooking the city. In a letter to the Secretary of State of February 17, 1794, he describes it as "a battery upon a hill in this island to the Eastwards of the Government House mounting two 24 pounders, two 32 pounder Carronades, two 12 pounders, and one Howitzer. " Searching for another means of income, Bahamian women started plaiting and decorating dried palm and sisal plant leaves to create items such as baskets, bags and dolls. Soon large numbers of women were making straw souvenirs that were sought after by visitors. Ardastra Gardens were opened in 1937. Ardastra is from the Latin Ardua astrum, which means “Striving for the stars”. In 1982 the gardens were bought by the Bahamian, Mr. Norman Solomon, who started the first zoo of the Bahamas there. The Atlantis Paradise Island is a resort and waterpark located on Paradise Island, The Bahamas. The resort was created by South African hotel magnate Sol Kerzner and Kerzner International Limited. The Coral Towers were chosen by Travel + Leisure magazine to be the best hotel to stay in. Bay Street Nassau is perhaps the most popular and well known place for Nassau shopping in the Bahamas The historic Nassau shopping center is a street that runs through the downtown area of Nassau, lined with shops, cafes, and a mixture of high end and local stores If you simply love to shop, Bay Street Nassau is a must visit. This very interesting museum is located on Bay Street near the British Colonial Hotel in Nassau. It is a permanent exhibit which illustrates the history of slavery, abolition and emancipation in the Bahamas. It has has a very good collection of articles and photos which document the history of slavery in the Bahamas. Situated on the northeast coast of New Providence island, the city is named after William of Orange-Nassau who became king of England in 1688. Nassau's colonial heritage remains in a number of old forts, pastel-colored buildings, and some lovingly restored grand hotels. It is the capital of the Bahamas. The stone Christ Church Cathedral in Nassau, in simple Gothic style and square tower, was started in 1837 and consecrated in 1845. The interior has a fine set of stained glass windows, an impressive organ and a mahogany ceiling. What is of particular interest are the memorial plaques from the 1800s. This military site is an imposing fort built in the late 18th century. It comes complete with a waterless moat, drawbridge, ramparts, and dungeons. Lord Dunmore, who built it, named the massive structure in honor of George III's wife. The fort is located one mile west of central Nassau. The official residence of the Governor General of the Bahamas since 1801, this imposing pink and white building on Duke Street is an excellent example of the mingling of Bahamian-British and American Colonial architecture. The graceful columns and broad, circular drive recall the styles of Virginia or the Carolinas.